Credit: Maria Gloria Dominguez-Bello, Rutgers University-New Brunswick. New Brunswick, N.J. (Aug. 29, 2018) – Can immersing yourself in a South American jungle and the high-fiber, unprocessed diet of its villagers make your gut microbes more diverse? And could it have benefits for people with obesity, type 1 diabetes and other disorders? A study led by Rutgers University-New Brunswick researchers followed seven city-dwelling adults and children who lived in a remote Venezuelan jungle village without electricity, soap or other amenities for 16 days. For the children, their microbiome – the beneficial germs in their intestines, skin, mouths and noses – became more diverse, with higher proportions of helpful bacteria. A similar change did not occur in the adults who visited the rainforest. The study appears in the journal mSphere. "The findings suggest dietary interventions to encourage a more diverse microbiome may best succeed in children, while the microbiome of adults may be more resistant to change," said senior researcher Maria Gloria Dominguez-Bello, a professor in Rutgers-New Brunswick's Department of Biochemistry and Microbiology and Department of Anthropology. Dominguez-Bello found in previous studies that the human microbiome in urbanized, more modernized societies contains a far less diverse array of species than that of people living more traditional, pre-modern lifestyles in the Amazon jungle of Venezuela and Peru. Dominguez-Bello studies the connection between the microbiome and human health and how early impacts on the microbiome may contribute to the rise of obesity, diabetes and other conditions in developed countries. The subjects of the new experiment stayed in a rainforest village in southern Venezuela near the border with Brazil. 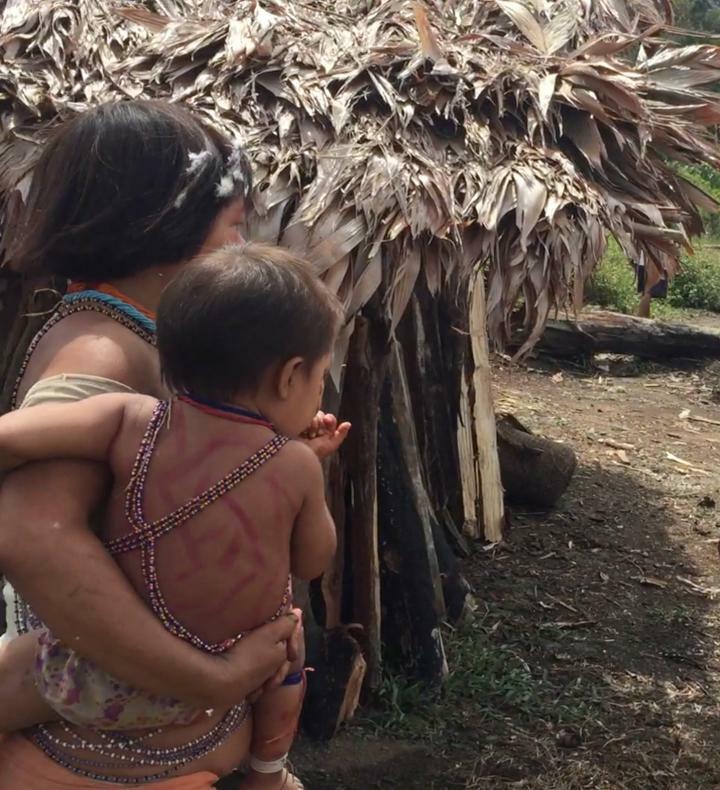 Their daily diet consisted of cassava, fish, a little meat and a lot of fruit. They adopted the local circadian rhythm with eight hours of sleep and bathed in a river without soap. Researchers swabbed the subjects' skin, nostrils, mouths and feces for microbe samples several times during the study, and compared them with samples from villagers. Rutgers-New Brunswick postdoctoral fellow Jincheng Wang participated in the analysis which found that the urban visitors began with a less diverse microbiome than that of the locals. Over the 16 days, the urban children – but not the adults – showed significant microbiome changes, though the health implications are uncertain. Dominguez-Bello said more research is needed to better understand the "age window" at which the microbiome can change, and to separate the various factors – diet, day/night cycles, physiology and others – that may affect these changes. This study also involved researchers from New York University, the Venezuelan Institute of Scientific Research, Universidad Central de Venezuela, and the Amazonic Center for Research and Control of Tropical Diseases.